2007/09/13 – Toronto, ON – Think back to the last time you used public or shared laundry facilities; it likely involved pockets full of loose change and an afternoon spent waiting. With the current pace of technology, this aggravating process is quickly becoming a thing of the past. Today’s patrons expect a much more convenient method for doing laundry and ITC Systems is there to answer the bell. In campuses across North America students are taking advantage of ITC Systems’ transaction technology to pay for and monitor their laundry services. Now students can go online to add funds to their school-issued student card, which they can then use to purchase laundry services and more. The student cards carry value and can be used to make transactions at facilities all over the campus and beyond. In addition, students can now check the availability of a laundry machine online from the comfort of their home or residence, eliminating the frustration of hauling their clothes to the laundry room only to find all the machines in use. 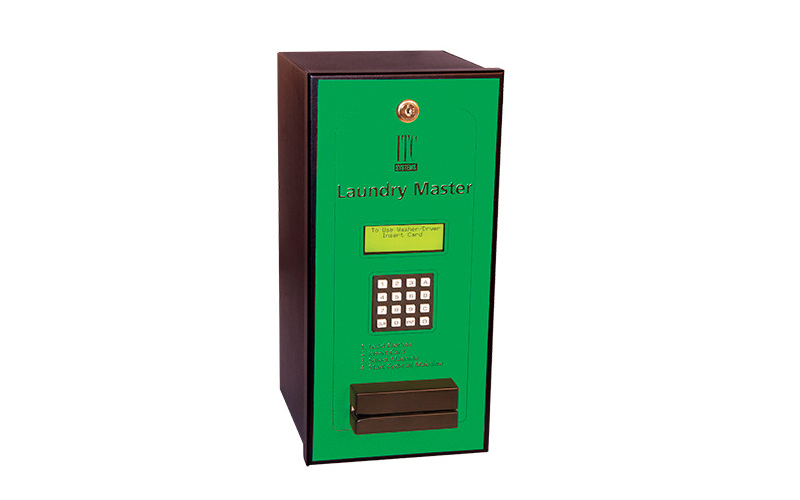 At the center of ITC Systems’ solution is the Laundry Master, a versatile card based controller that operates up to 32 laundry machines simultaneously. The Laundry Master can be configured to accept multiple card formats, including pre-existing student cards or ID cards. Each laundry machine is equipped with a Laundry Interface and connects via RS-485 daisy chain network to the Laundry Master.